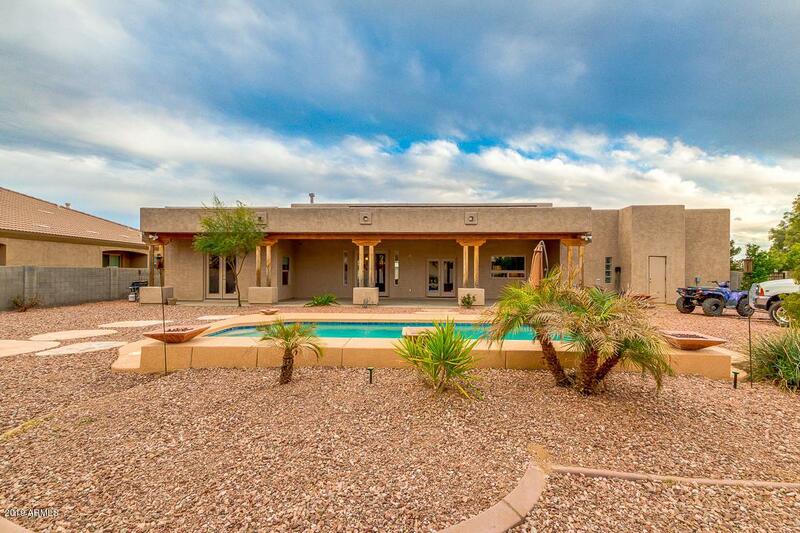 Beautiful Views surround this impressive Home situated on almost 1/2 Acre in Russell Ranch! 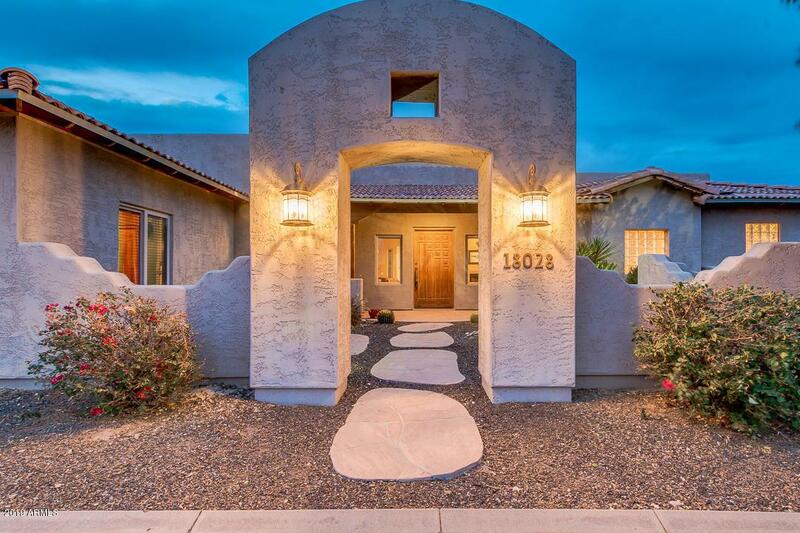 Circular Drive leads you into the courtyard Entry - home has superb Curb appeal! Bring your Toys- RV gate with RV / parking. Architect's Dream custom split floor plan with entertaining Great Room / Kitchen large enough to accommodate all of your guests. This home is the ultimate Entertainers delight! 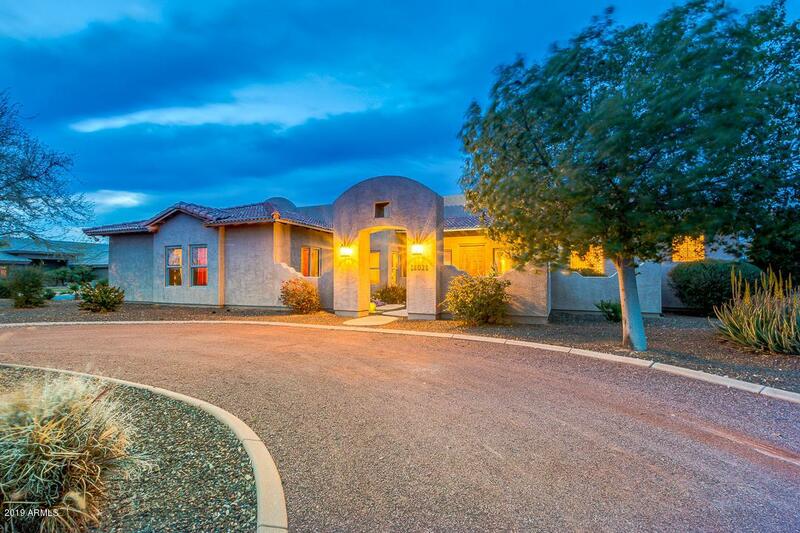 HUGE gourmet kitchen with granite counters and enormous center island with tasteful cabinetry finishes / fixtures. Luxurious spa Master bathroom with Jacuzzi jets & tiled snail shower. 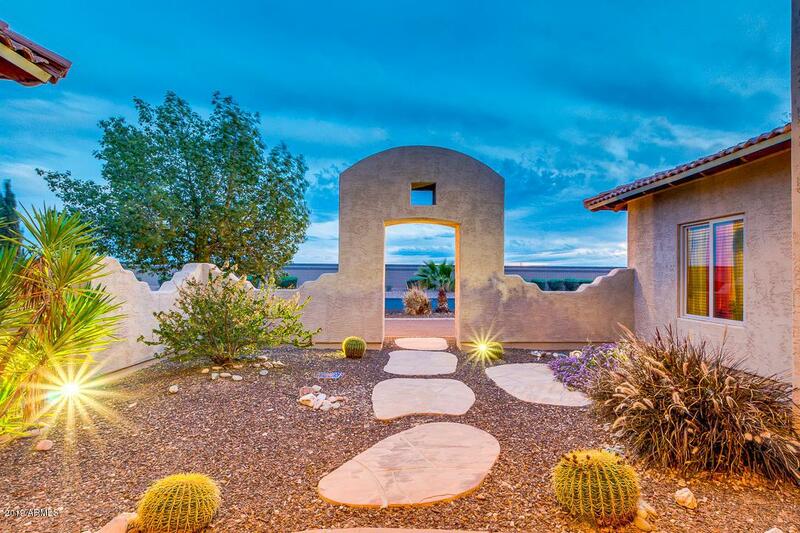 separate entrance from master to the resort style back yard with extended full length patio and sparkling Pebble tech pool. 3 car garage, N/S exposure, mountain views, home has SOLAR, excellent location - min away..